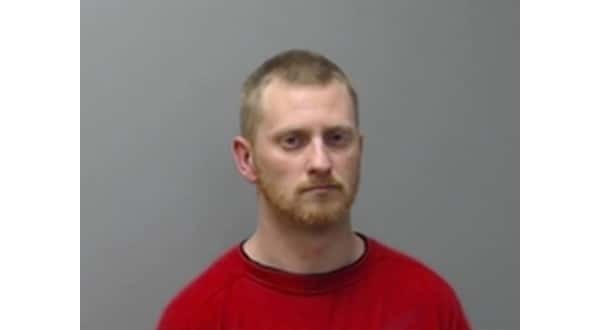 A Baxter County man, 35-year-old Timothy Strain of Lakeview, has been charged in connection with an incident in which he allegedly broke into a medication pump in an OB room at Baxter Regional Medical Center where his girlfriend had just given birth to their child. According to the probable cause affidavit, Mountain Home Police officers responded to a call from BRMC Thursday for a report of damage caused by a patient's boyfriend. Hospital security advised Strain had been in his girlfriend's room after the birth of their child and had broken into an epidural pump. Strain told officers he had accidentally knocked the pump over and was trying to put it back together. He was banned from the hospital property unless it was a medical emergency. Thursday afternoon, hospital staff noticed a second pump broken and a sharp container entered. They also found needles wrapped in a towel and vials of prescription medication in another towel from the locked container. Strain, who has a suspended driver's license, had since left the hospital in another person's vehicle. The vehicle owner told officers the Lakeview man went to a friend's house on First Street. Officers found the vehicle Strain had been driving at the Mountain Home residence. Contact was made with Strain, who attempted to exit a side door being watched by an additional officer. Strain consented to a search of the vehicle he had been driving, where officers discovered parts from a medication pump. Strain has been charged with felony counts of criminal mischief and breaking or entering. His bond was set at $25,000.